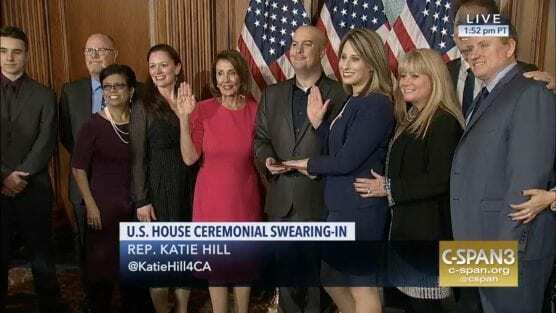 Congresswoman Katie Hill (D-Santa Clarita), who was officially sworn into office on Jan. 3, will host a ceremonial swearing in alongside her family, friends and community members at her alma mater, Saugus High School, on Saturday. 21900 Centurion Way, Santa Clarita, 91350. For more information or to RSVP, contact lindsay.bubar@gmail.com. No Ms. Hill, our community did not come together deciding it was time for a change. Our community was misled by your campaign where you ran as a moderate. Your campaign was a lie as you had no intention to lead as a moderate and are proving that with your actions in DC. On top of that your campaign was funded by Democrat big money. You should be doing your ceremonial swearing in in front of the big money donors who you are beholden to and not the citizens of Santa Clarita who you really don’t care about.